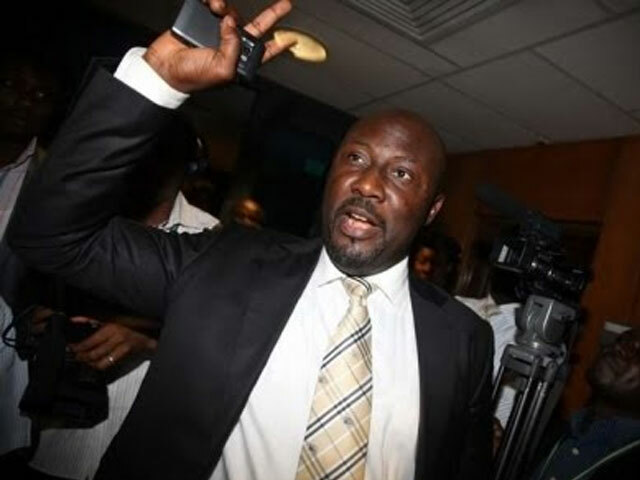 Dino Melaye, the former House of Representatives member and principal actor in the faction which fought tooth and nail for former Speaker, Patricia Etteh, to retain her seat during the Etteh-gate saga is still talking. In his latest salvo, he insists that the Integrity Group was an amorphous group hurriedly formed during the Etteh saga as a platform to drive Lawan’s political ambitions, which explains its low profile after Patricia Etteh had been unseated. He maintained that the failure of the Farouk Lawan lead fuel subsidy probe to pursue its task to a logical conclusion was true to type. He explained that there would be no need for the establishment of probe panels if the House had diligently pursued their oversight functions with Ministries, Departments, and Agencies (MDAs) of the federal government. He went ahead to accuse the President Goodluck Jonathan led government of double-standards, with a body language which clearly reflects its reluctance to fight corruption decisively. Solid words. But then again, this is Dino Melaye. Very true. In a way, we perceive double standards with the Federal Government. They know the strategies for economic growth, they desire economic growth but the other side of the coin still keeps corruption, reluctant to KICK corruption out. Nigeria can overcome but Jonathan needs to define himself and his governance. Double standards will not work.